Overseas study was earlier considered as prohibitively expensive and out-of-reach for many. However, if one considers the rising cost of education in India coupled with an opportunity to get some scholarships and to work part-time while studying abroad, an overseas education can actually prove to be cheaper than doing a program in a similar quality institution in India. The degrees of the top-notch institutions are widely respected by the Indian industry as well. 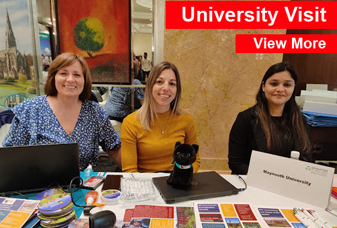 Today, a lot of students from the average middle-class family are availing of this opportunity to gain an international exposure and better their prospects. On a student visa, students are generally allowed to work for 20 hours/week while studying and 40 hours/week during vacations. Typical part-time job opportunities are available in BPO’s, Call centres, Marketing firms, Retail stores, IT set ups etc. Quite a few of our students have worked part-time with well known corporate organizations like Intel, Citibank, TNT, Bank of Ireland, Vodafone, Meteor, Behaviors & Attitudes, Auckland City Council, Fujitsu and many more. Also, on a student visa you are allowed to stay back in the parent country for some time to look for a full time job. Since you would have gained a local qualification and would have built up industry contacts, it becomes comparatively easier to bag that coveted job and realize your dream of working abroad. 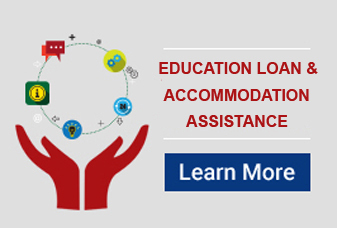 Another interesting aspect is the easy availability of educational loans nowadays. The loans offered by most banks today calls for the principal repayment usually six months after the completion of the program. However, as the students earn by working part-time, there are many instances where they are able to prepay the loan even before the principal repayment has started!